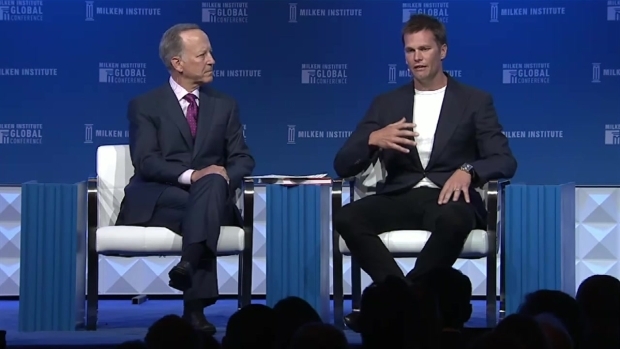 Speaking Monday night in a sit down interview with Jim Gray at the Milken Global Conference in Los Angeles, Brady was asked if Coach Bill Belichick and owner Robert Kraft fully appreciate what he has achieved. Questions about relationships between members of the New England Patriots organization have been swirling for months. Much of that speculation has surrounded quarterback Tom Brady's relationship with head coach Bill Belichick. Brady's latest comments have done nothing to quell the drama. 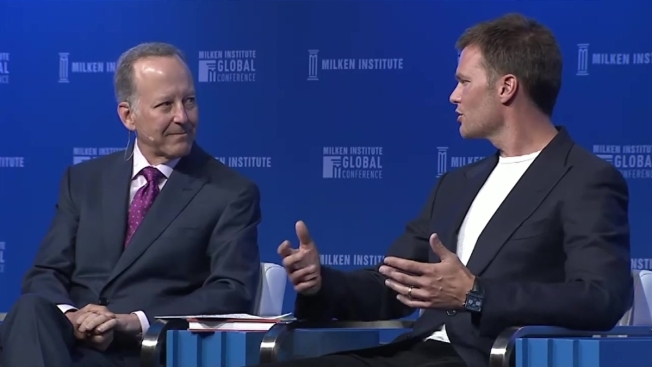 Speaking Monday night in a sit down interview with Jim Gray at the Milken Global Conference in Los Angeles, Brady was asked if he's happy with the Patriots. Is Tom Brady Happy With the Patriots? Tom Brady was asked Monday night if he is happy with the New England Patriots. "Uh, I have my moments," Brady said. Is he happy with the people he works with and for? "Yeah, I would say absolutely. In general I am a very happy person, a very positive person." Brady went on to say, having been on the same team for a long time, "you have relationships for a long time, they ebb and flow like every relationship but there's no people I'd rather play for or be committed to than the team that I've been with for a long time, and really the fans, the community..."
Gray followed up by asking Brady if he feels appreciated by Belichick and owner Robert Kraft, and if they have the appropriate gratitude for all that he’s achieved. "I plead the fifth," Brady responded with a smile. "Man that is a tough question... I think everybody in general wants to be appreciated more at work in their professional life." Another controversy surrounding last season was the benching of cornerback Malcolm Butler in the Super Bowl. Brady was asked if he knows why Butler didn't play. Tom Brady was asked Monday night at the Milken Global Conference in Los Angeles if he knows why Malcolm Butler was benched during the team's Super Bowl loss against the Philadelphia Eagles. "You know, I don't make the decisions," he said. "I'm telling you the truth. I wish he would have played but you know the coach decided not to play him and we still had a chance to win." Do you know why he didn't play though, Gray pressed? "No, you know, I haven't gone to discuss those things. Do you know why he didn't play, would you like to tell me... I don't ask, so." Gray followed up by asking if Brady believes the fans deserve an explanation. "I don't know, that's probably a better question for the guy who owns our team... I can control what I can control. So much of what my performance has been over the years is how do I maximize what I can do? I can't run, I can't catch, I can't block, I can't tackle. I can do my job and I'm gonna do it the best I can. I've gotta trust everyone else to do the same thing." When talking about the Super Bowl loss to the Eagles, Brady said, "It kind of sucked." There has been a tremendous amount of speculation this offseason about whether or not Brady would play the 2018 season, especially after he didn't show up for voluntary workouts. "Yes, I am going to be playing," Brady told Gray on Monday. "I have personal goals, I want to keep playing. I have said for a long time I want to play to my mid-40s." 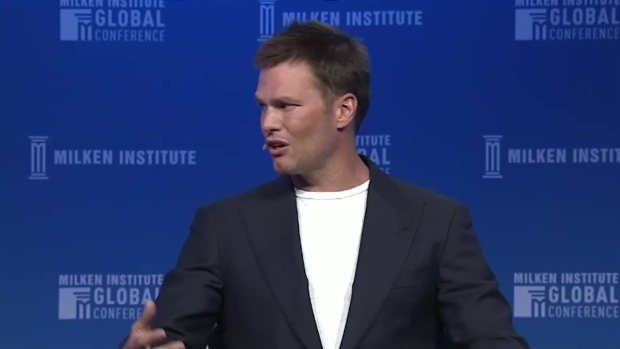 Brady said he has negotiated with his wife, Gisele Bundchen, to play two more years thus far. "I've still got a few more, you know, a little further to go." Brady is slated to earn $14 million in base salary in each of the next two seasons. He can be an unrestricted free agent following the 2019 season, by which time he'll be 42 years old.